Hello and Happy Tuesday! 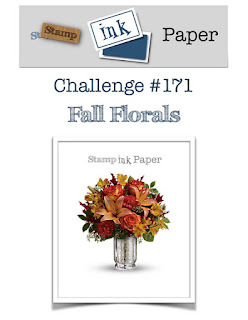 Stamp, Ink, Paper has a fun fall florals challenge for you this week. I'll be honest I had a lot of great ideas for my card but in the end my allergies got the best of me so I went fairly simple with the new Stampin' Up! 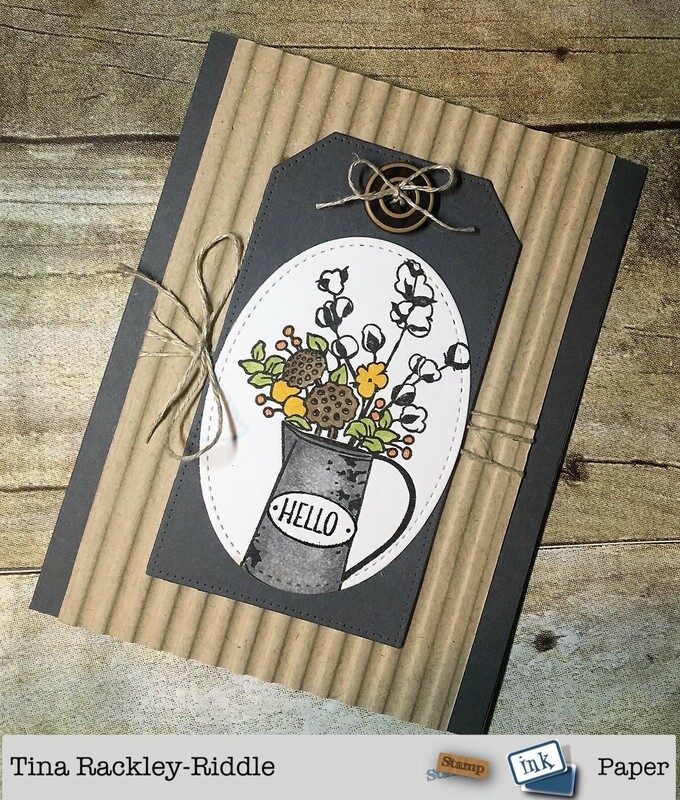 Country Home stamp set. I cut out my fall floral image with a Stitched Shapes Oval Framelit. Then I literally could NOT find my layering oval framelits so I layered the stitched oval onto a tag cut out with an old MFT stitched tag die set. I added a button with more of the linen thread tied into it to finish it off.